State coordinator Prateek Hajela’s submissions to the Supreme Court suggest the National Register of Citizens will be a document of exclusion, not inclusion. In a high-strung report submitted to the Supreme Court last week, Prateek Hajela, state coordinator for Assam’s National Register of Citizens, has elaborated why the list of documents that can be used to prove citizenship must be narrowed and the rules tightened. Bribery, forgery, fraud and the machinations of a “pro-immigrant” lobby, Hajela suggests, would lead to a register filled with imposters. The register, being updated for the first time since 1951, is meant to be a roster of “genuine citizens” of Assam, separating them from undocumented migrants. The previous paradigm for the counting exercise, Hajela points out, had been that “No genuine citizen should be left out”. He proposes a shift to “No ineligible person should be included”. What had been a matter of conjecture and suspicion so far is now out in the open: the updated National Register of Citizens is imagined by the bureaucracy as a document of exclusion rather than inclusion. A bureaucratic report that trots out numbers and case studies to make its point may have taken a more hardline stance on undocumented migrants than any mainstream political party in Assam so far. This is richly ironic since the demand to update the National Register of Citizens had been political in the first place. It also proposes to shift the goalposts in the last lap of an exercise that has appeared whimsical and arbitrary the more it claimed to be scientific and unbiased. About 40 lakh applicants who were left out of the final draft list published on July 31 must now scramble to prove citizenship. The counting exercise is governed by the Assam Accord of 1985, which brought to a close the anti-foreigners movement spearheaded by the All Assam Students’ Union. According to the pact, those who could not prove that they or their ancestors entered the country before midnight on March 24, 1971, would be declared foreigners and face deportation. In the updating exercise, applicants are required to provide two sets of documents. List A, or legacy documents, show the identity of a pre-1971 ancestor. This could be his – and it is almost invariably men who are legacy persons – name on the 1951 National Register of Citizens, pre-1971 voter rolls, land documents or refugee registration certificates. List B, or link documents, provide proof of the applicant’s relationship to the legacy person. Those who made it to the final draft of the updated National Register of Citizens could produce any one of 15 documents from List A. Hajela now proposes to trim this list to 10. Yet no mainstream party in Assam has lobbied for 10. The current government is a “rainbow coalition” led by the Bharatiya Janata Party and other parties claiming to represent indigenous interests. This includes the Asom Gana Parishad, which carries the ideological inheritance of the anti-foreigners’ movement, and the Bodo People’s Front, another indigenous party. Both have remained silent on the matter. While the BJP has agitated about the threat of those it terms “infiltrators” in political speeches elsewhere, in Assam it is more circumspect. 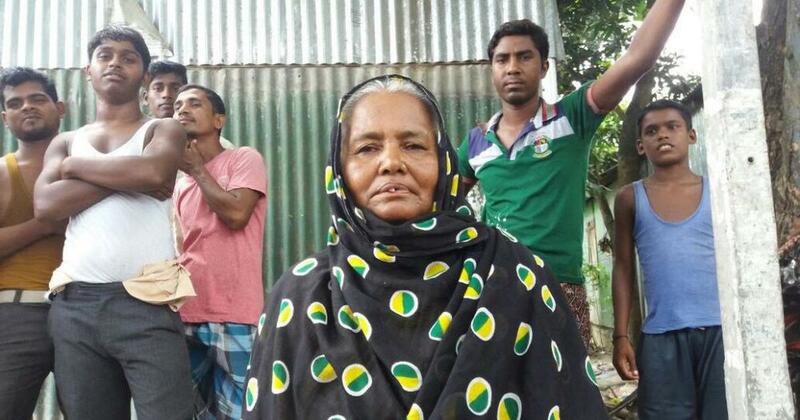 This could be partly because a large number of Bengali Hindus, who form its main vote base in the state, stand to lose citizenship if the rules are tightened. Which means the BJP in Assam sided with the Congress and the All India United United Democratic Front, the party associated with Bengali Muslim interests, in asking that 15 documents be retained for List A.
Hajela has dismissed these objections as “political posturing” and a “well planned attempt” to smuggle illegal immigrants into the National Register of Citizens. Yet a number of Hajela’s proposals could keep genuine citizens out of the register. Take the proposal that legacy data remain unchanged for those reapplying after the final draft. Legacy data refers to the ancestor’s name in various digitised documents uploaded by the office of the National Register of Citizens. According to Hajela, the same person could generate multiple legacy data, since his name could appear in a range of pre-1971 documents. The unused legacy data could be used by imposters to insert themselves into the register, Hajela argues. These cases of fraud could be weeded out through family tree hearings, where field officials talk to the purported descendants of the legacy person to determine which claim is true and which false. But even these hearings could be subverted, Hajela argues, because the original family could be bribed by the imposters to lie to officials. In the districts of Lower Assam, entire families have been struck off the list because the legacy data has been found faulty – in some administrative circles, field-level officers say it accounted for 20% of rejections. In Chirang district, legacy persons are anguished because their data was faulty so their families were left out of the draft – yet here they were in person, men in their 70s and 80s who had lived in Assam all their lives. A common mistake, field-level officers said, was when two legacy people had the same name and their families ended up tracing their ancestry to the wrong ancestor. His solution is to disqualify documents that large numbers of Assam’s illiterate, landless poor had used to prove ancestry: pre-1971 voter rolls and the 1951 National Register of Citizens, the document being updated in the first place. A name spelt wrong or an inadvertent mistake could lead to the authenticity of such documents being questioned. In other cases, allegations of fraud seem to cover administrative limitations. Take the refugee registration certificates issued by the government to immigrants flowing in from Bangladesh, or former East Pakistan. These were not digitised, Hajela submits, because they would be hard to verify with issuing authorities and many of these documents were illegible to begin with. It is not clear why this did not occur to the coordinator when the counting process had started. So far, the process of updating the National Register of Citizens has been riddled with clerical errors as a state with limited administrative capacities embarked on an ambitious counting exercise. Instead of trying to plug these gaps, Hajela chooses to turn the wind of blame towards the applicants. Instead of cracking down on specific cases of fraud and bribery, he chooses to strike the documents off the list and freeze legacy data. Documents used by millions in the final draft to prove citizenship are suddenly suspect. Are these changes motivated by administrative expedience or paranoia that could match some of the worst excesses of ethnic chauvinism? 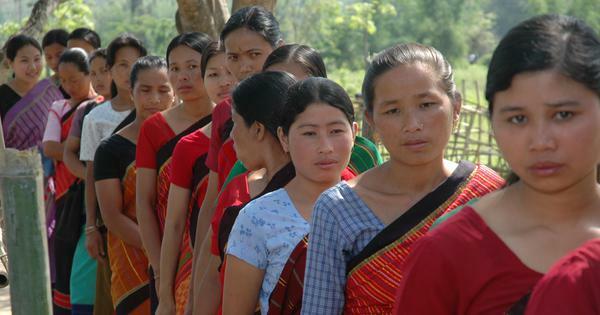 In Assam, the demand to eject foreigners has usually emerged from movements of ethnic nationalism, which imagined homelands largely reserved for groups defined as indigenous. Yet these agitations have repeatedly been fuelled by the chilling language of state officials, from Census Commissioner CS Mullan writing about “land hungry” hordes of Bengali Muslim peasants in 1931 to SK Sinha in 1998, who spoke of a “silent an invidious invasion of Assam” and urged that the dangers of “large-scale immigration from Bangladesh, both for the people of Assam and for the Nation” had to emphasised without fussing about “misconceived and mistaken notions about secularism”. A commission headed by advocate Upamanyu Hazarika and appointed by the Supreme Court itself submitted a report in 2015 that made claims about an “established institutionalised mechanism which enables a Bangladeshi national to freely come into the country”. Yet this so-called impartial observer is now an activist campaigning for the ejection of migrants. As it evaluates Hajela’s report on November 1, the Supreme Court might want to contemplate the invidious invasion of xenophobia in the language of official reports.